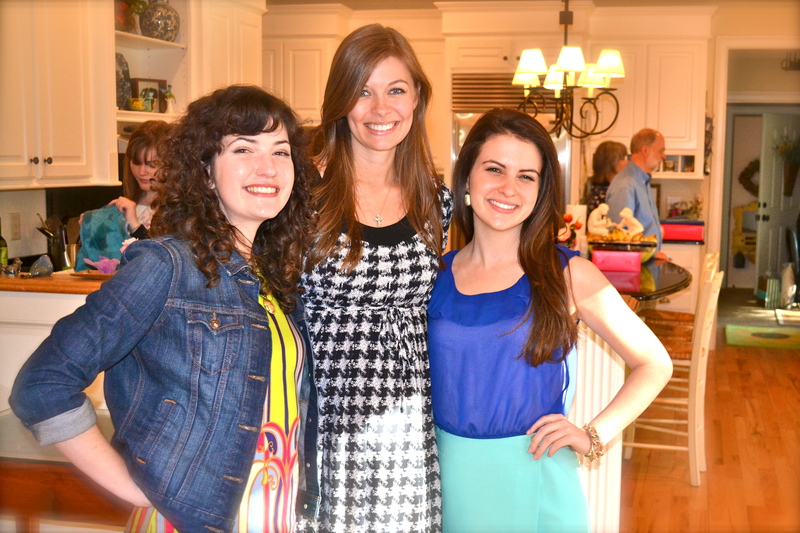 Surprise Shower for Baby Harper! 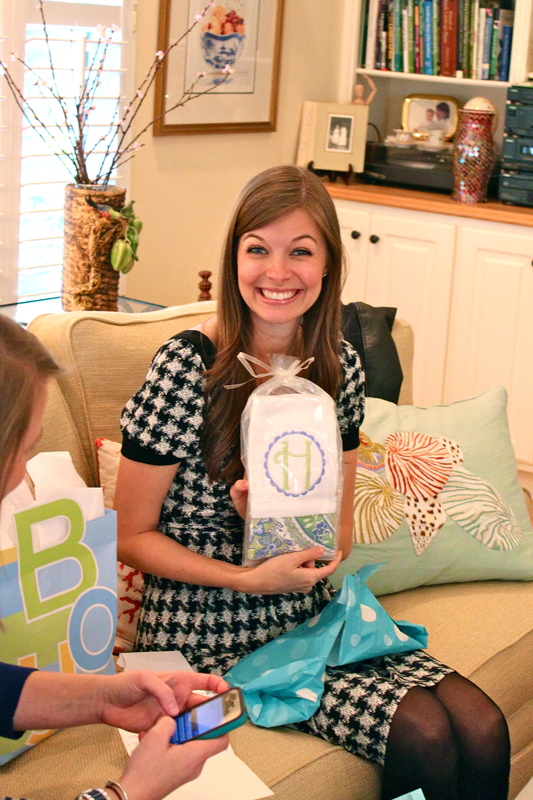 As I was getting ready for my baby shower tonight, I realized that I still hadn’t posted on the surprise baby shower that was thrown for me in Charleston! So, before I head off tonight I wanted to at least post some pictures. 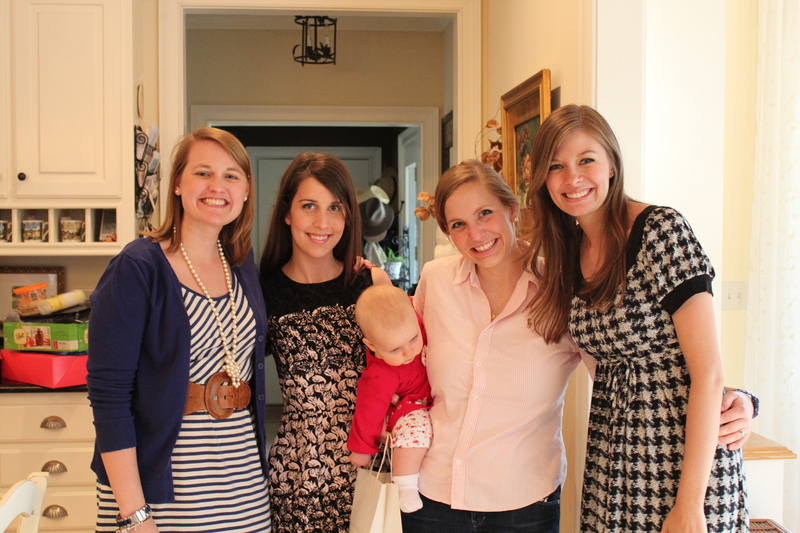 The story, as it was told to me, was that my dear friends Meredith (who was getting married in Charleston) and Elizabeth were talking, when Meredith said that it was a shame that she wouldn’t be able to celebrate me while I was pregnant, as the only time we knew that we would be around each other was her wedding weekend. Elizabeth’s response was, “Well, if you want to do it and can find an hour or so, I’ll make it happen.” (If you know her, then you know this is a very Elizabeth response.) 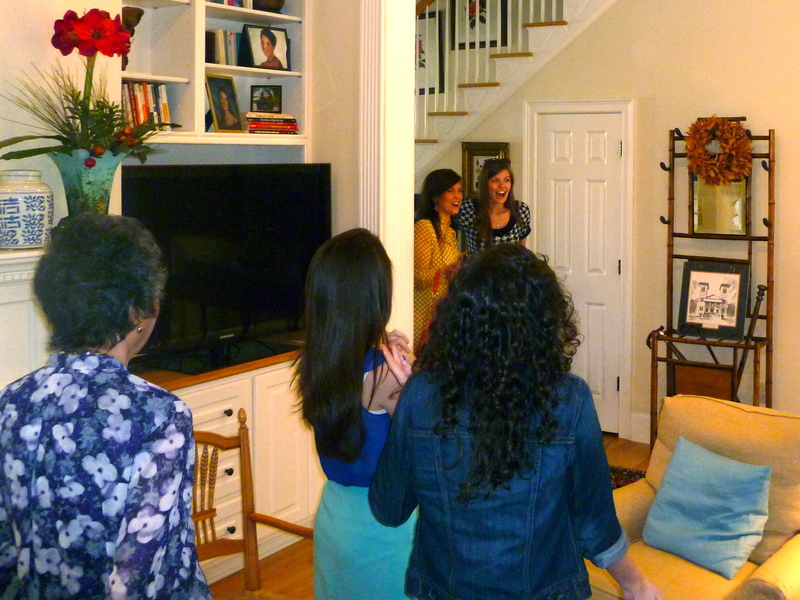 Meredith found about an hour and a half in between her rehearsal and rehearsal dinner (seriously) and said that they could do it at her parent’s house. So, Elizabeth reached out to my mom and started coordinating everything. 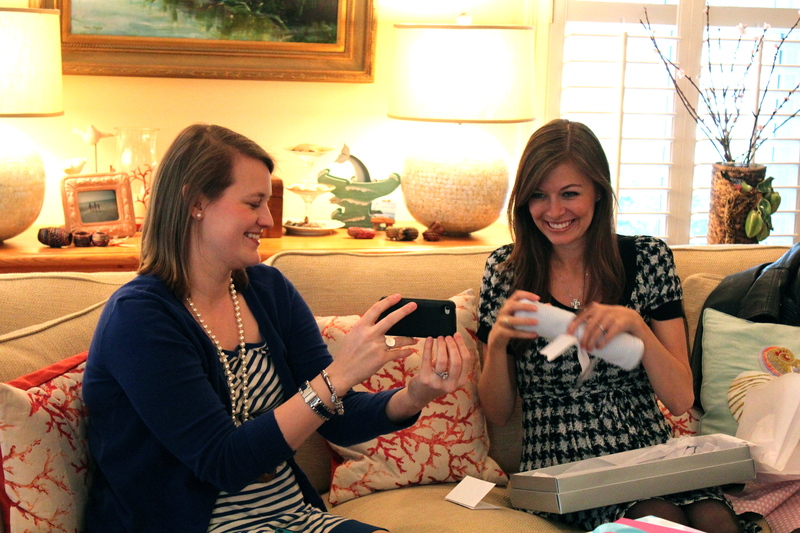 My mom told them that if they wanted to do it, then it would have to be a surprise because there is no way I would agree to having a baby shower on Meredith’s wedding weekend (and she was absolutely right). However, they were determined so they kept it a surprise, and on Friday March 15, Elizabeth showed up to Meredith’s house while we were all at the rehearsal and started setting up the amazing display of cupcakes, food and snacks, the whole lemonade set-up with mason jars & straws, the banner, and a copy of “Oh the places you’ll go” that all of the party guests signed! She is kind of amazing. 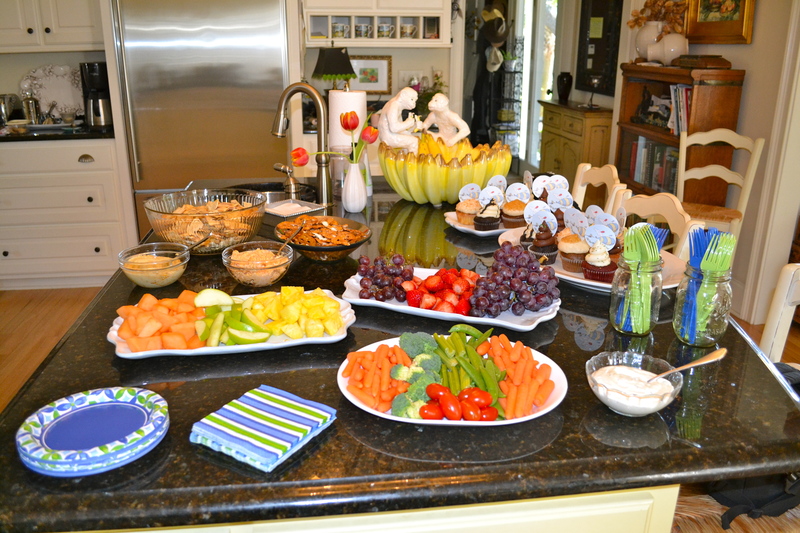 When I walked in I was not only shocked but also totally confused, as having a baby shower was clearly the last thing on my mind. 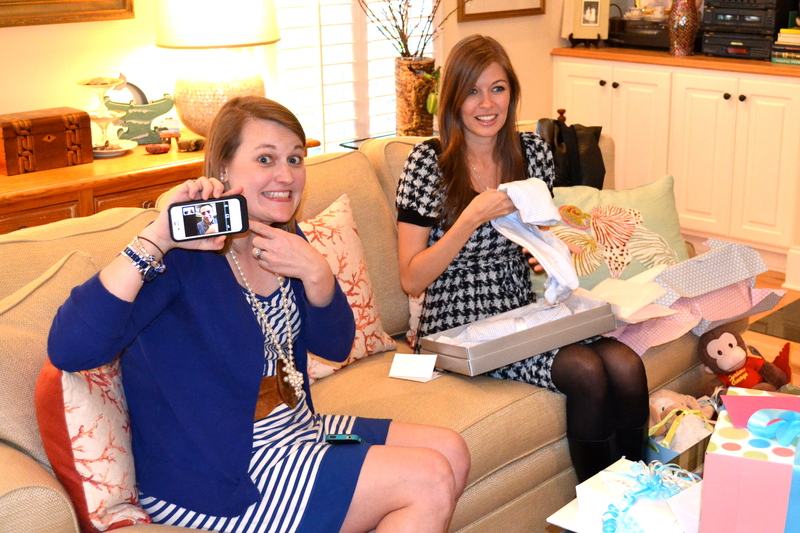 I mean, here I am, Meredith’s Matron of Honor, trying to totally focus all of my energy and attention on her as we are coming home from a wonderful wedding rehearsal, about to rest and then get ready for the rehearsal dinner that night, and I walk into a room full of my family and friends and a banner that says, “Baby Boy Harper!” It was definitely a shock. OK – enough back-story. Here are some pictures! 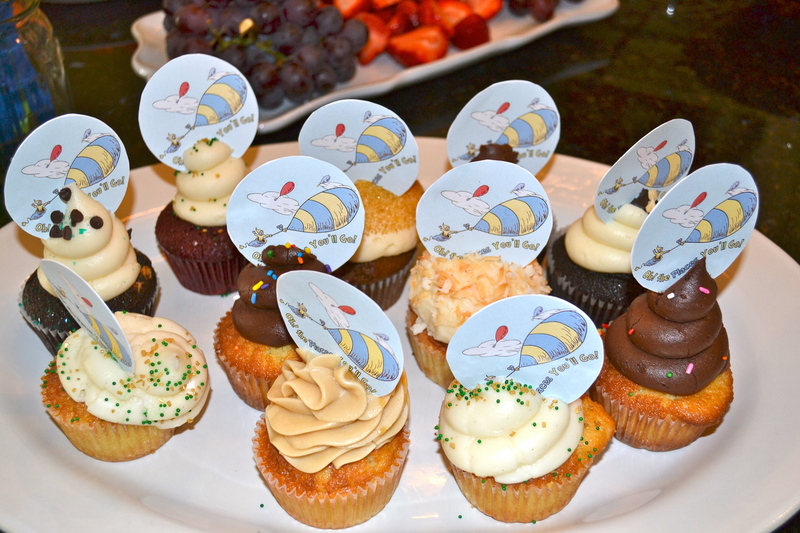 “Oh the places you’ll go” adorable / delicious cupcakes! 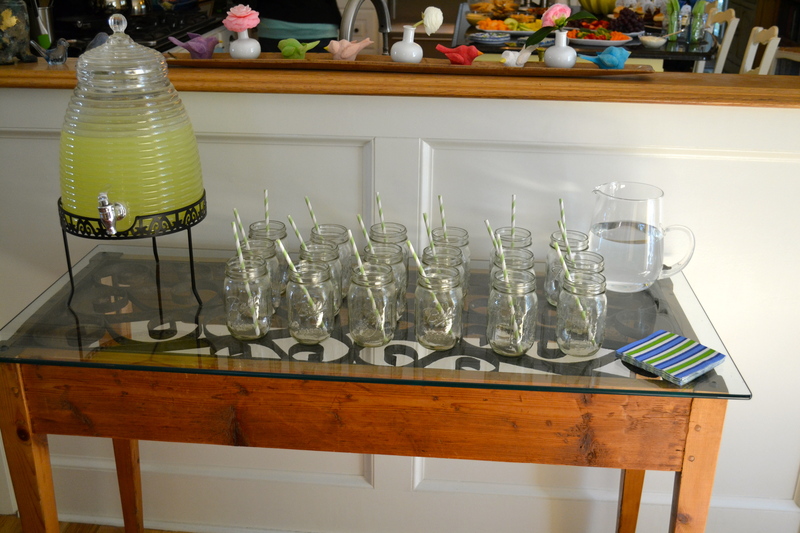 Lemonade in mason jars with cute straws! Mary Carol Fortune. What a little cutie. Walking in – totally surprised and confused. 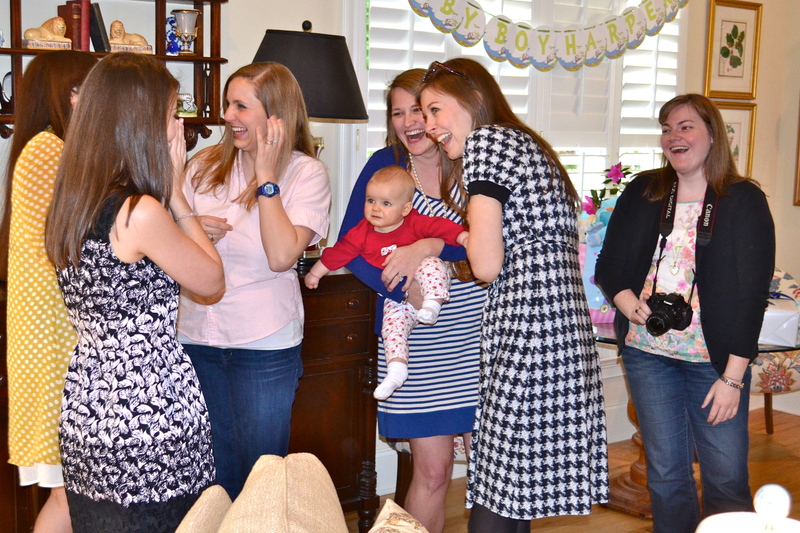 My amazing friends assuring me that it was in fact a surprise shower for Baby H! 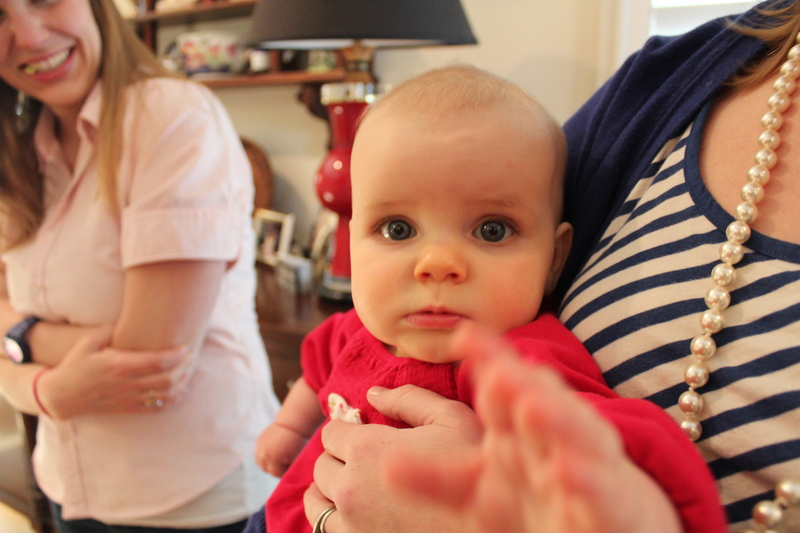 Sweet Augusta Clare entertaining the crowd. H burp cloth sent all the way from Kelli K Mayfield! Michael called on Facetime and I think he may have been even more confused than I was when I first walked in. 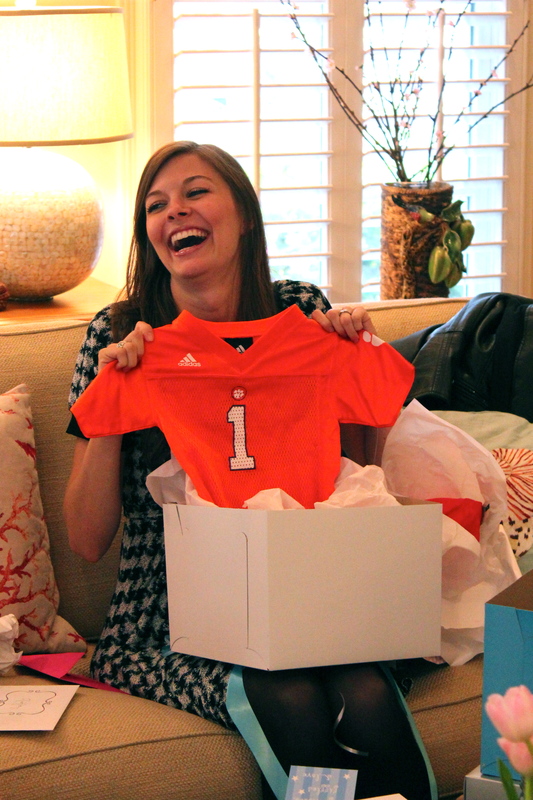 Showing Michael the beautiful onesie that his sweet mama had sent for the occasion. It was such a blast, and honestly I still can’t believe it happened. 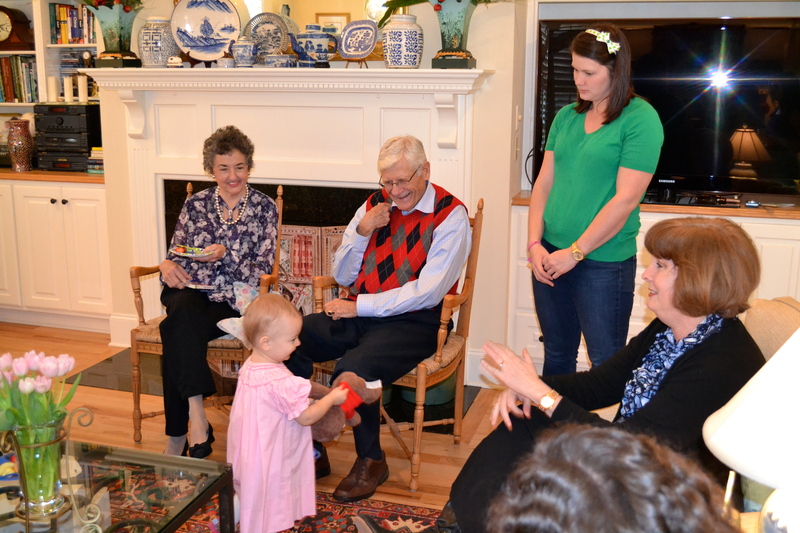 Thank you to everyone who came out to be there, to Meredith and her mom, Susan, for being so incredibly generous and hospitable with you home and you precious time during a weekend that was so special, and a huge thank you to Elizabeth for all that you did and for making it happen! I can’t believe how blessed I am to have such kind and caring friends. Amazing! !